Last week the Australian Securities and Investments Commission (ASIC) urged all existing financial advisers to make sure they are present and correct on the ASIC financial advisers register by December 31. That’s the date the boom gates come down on the industry, and is the cut-off point for determining who is on the register and therefore an “existing provider”, and who is not on the register and is therefore a “new entrant”, as the industry embarks on adopting new education, professional and ethical standards. Technically, anyone who is not classified as an existing provider on January 1 next year will be deemed to be a new entrant. Existing providers will have until January 1, 2024, to obtain the required qualifications; new entrants will be required to hold an approved degree as a condition of entry. The body charged with implementing the new standards, the Financial Adviser Standards and Ethics Authority (FASEA) recently released updated and slightly simplified outlines of the pathways existing advisers can take from to comply with the new standards. The pathway ahead for advisers over the next five years depends entirely on their starting point, and whether they have an approved degree, a relevant degree, a non-relevant (or “other”) degree, or no degree at all. The CoreData/Professional Planner Future of Advice research shows that a very small proportion of advisers, around 2 per cent, currently hold an approved degree. It’s an unsurprising figure, given approved degrees have existed only a few years. FASEA has for the time being mirrored Financial Planning Education Council (FPEC) accreditation of degrees, meaning anyone enrolled in an FPEC-accredited course can be confident that upon graduation their degree will be approved by FASEA. • Taxation/tax law (as approved by the Tax Practitioners Board). And the corollary is that a non-relevant degree is one that did not have at least eight courses in one or more (in any combination) of the fields listed above. About 6 per cent of advisers hold a non-relevant degree. 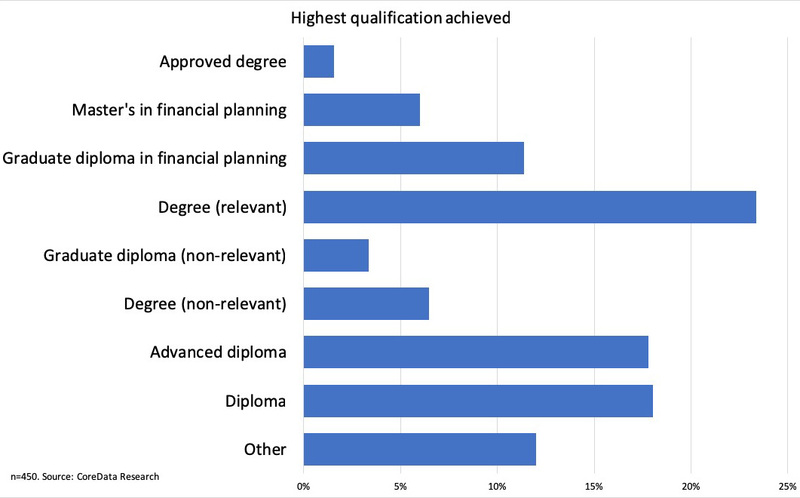 A significant proportion of the industry – more than a third – have only a diploma or advanced diploma, neither of which is an approved level of qualification under the new rules. For these advisers the path to compliance is slightly longer. The CoreData research starts to clarify how many advisers are at which starting point on the pathway to compliance. 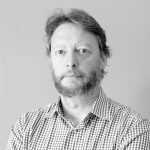 Clearly, some have further to go than others, but even so, the most study that any existing adviser will be asked to do is eight approved courses – equivalent to a graduate diploma – and only then if they have no degree and no other qualification whatsoever. But in the short-term, all advisers should heed the regulator’s advice to at least ensure they are present on the register and all details are up to date. The deadline for registration is at least in theory a workday – it’s a Monday – but it falls between the weekend and New Year’s Day, and it’s probably not the best idea to lodge it quite that late. Failure to get onto the register by that date will mean having to meet new-entrant requirements to get back in. But there’s another good and less complicated reason to make sure registration is up-to-date before the end of the year. From January 1, anyone who has failed to register also will no longer be allowed to call themselves “financial planner” or “financial adviser”. A seemingly small administrative oversight could bring a financial planning career to a shuddering halt far more quickly than any of the new education standards.